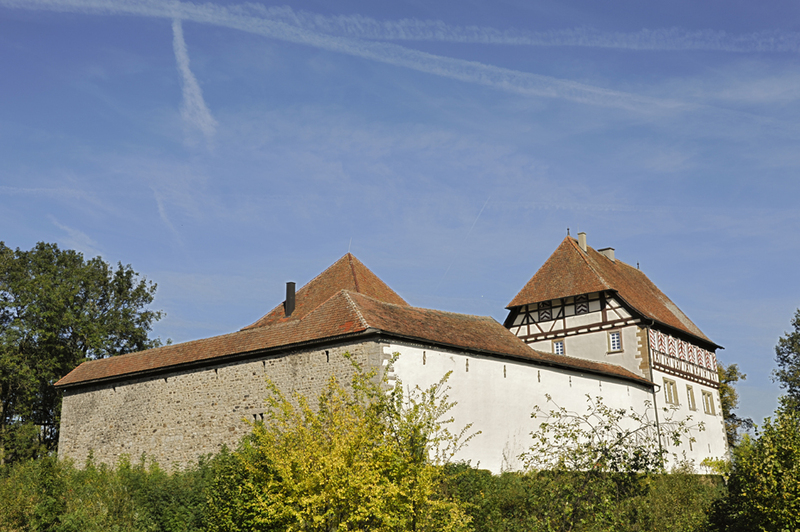 The then moated castle in the centre of Honhardt was first mentioned in the eighth century. 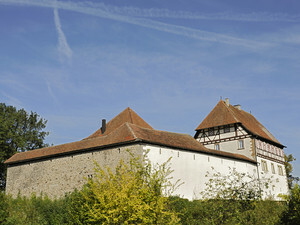 The oldest part of the castle is the so called bergfried dating back to the eleventh century, a tower with defensive function, however, not designed for permanent habitation. 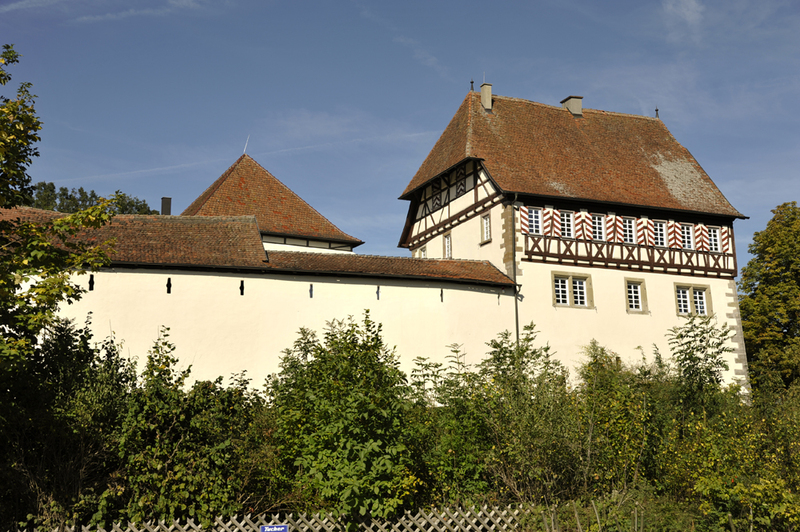 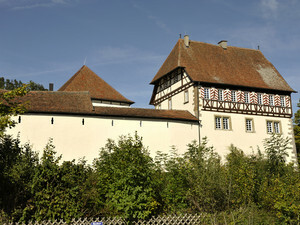 After the castle had been destroyed by the Free Imperial City of Schwäbisch Hall, it was re-build with a battlement parapet in 1444. 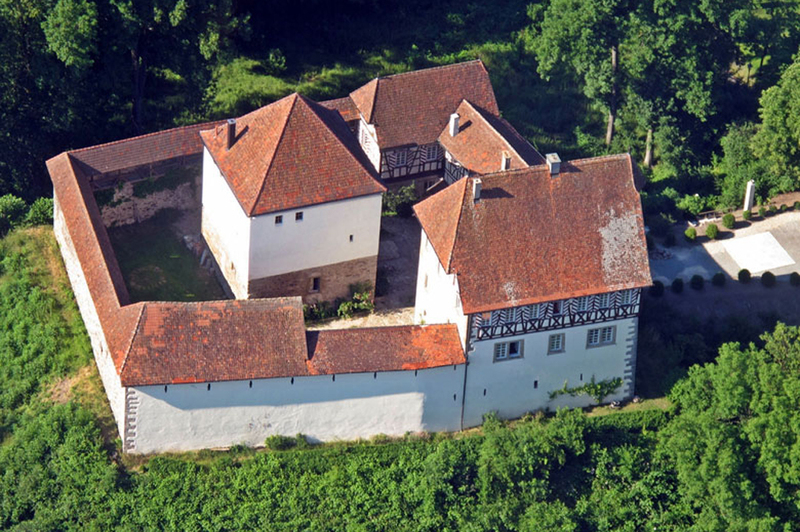 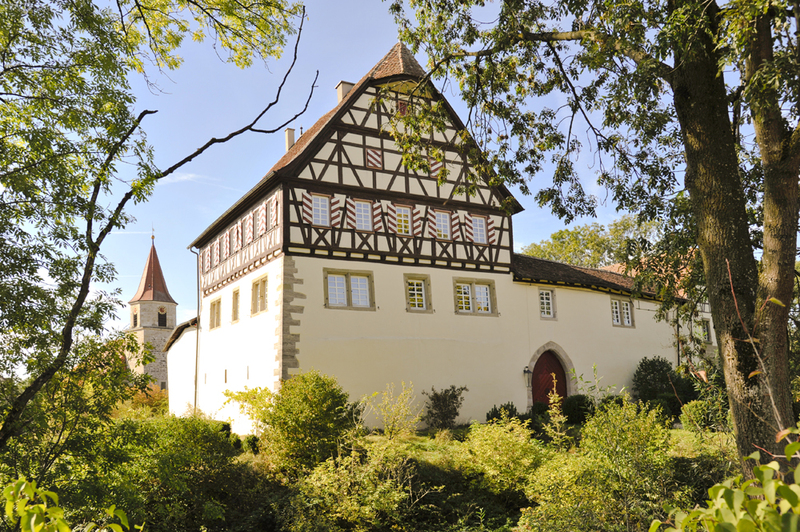 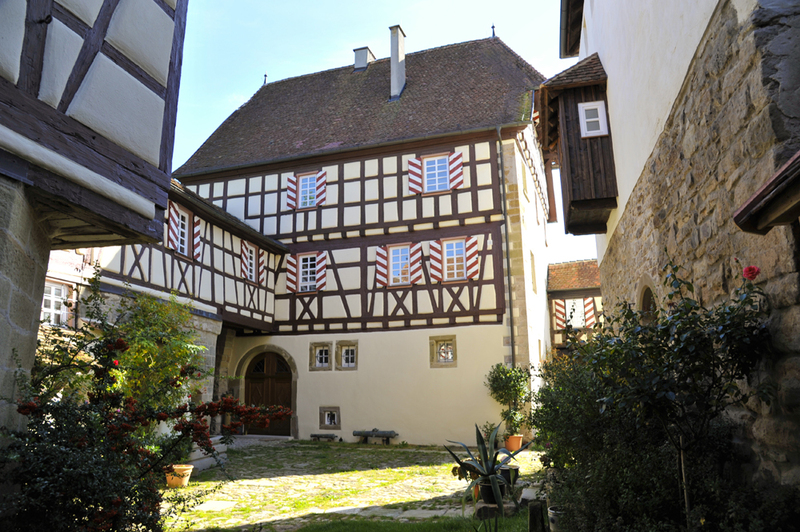 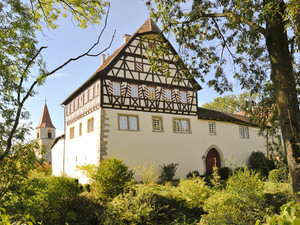 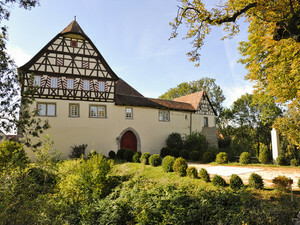 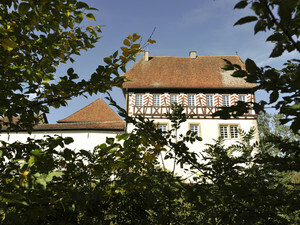 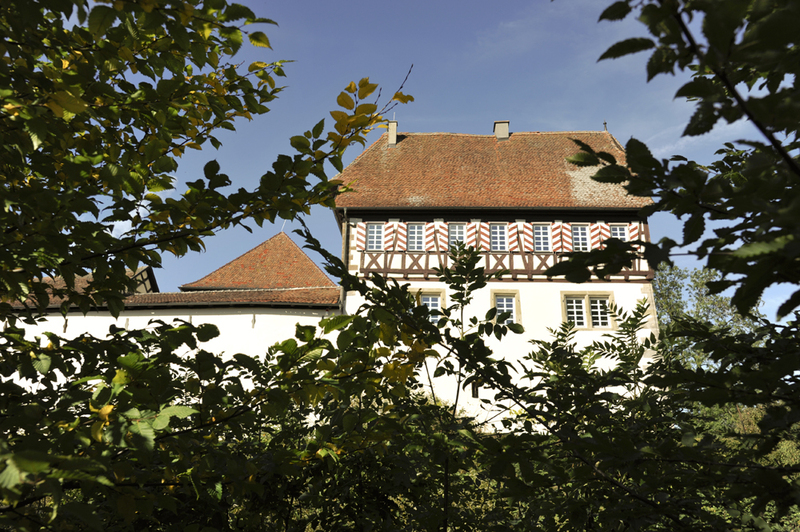 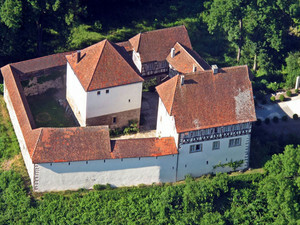 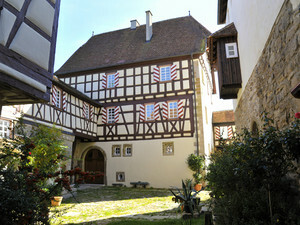 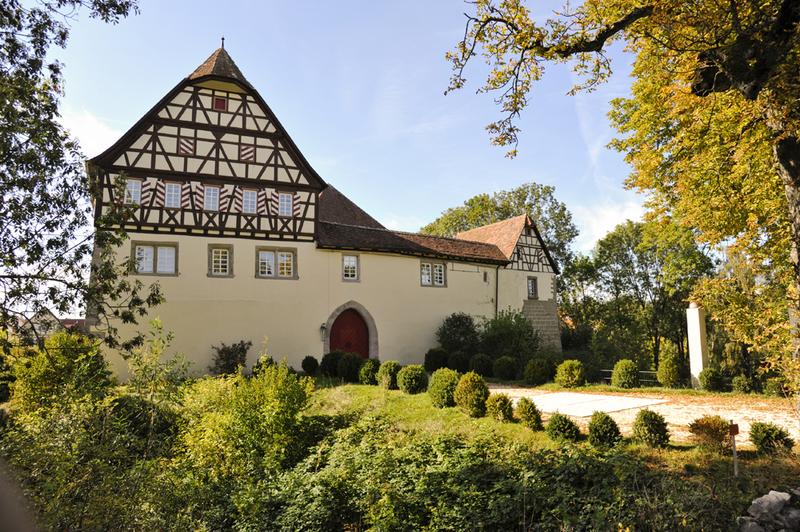 Around 1700 when a community of canoness moved into the building, the country castle underwent a comprehensive reconstruction in timber framing style. 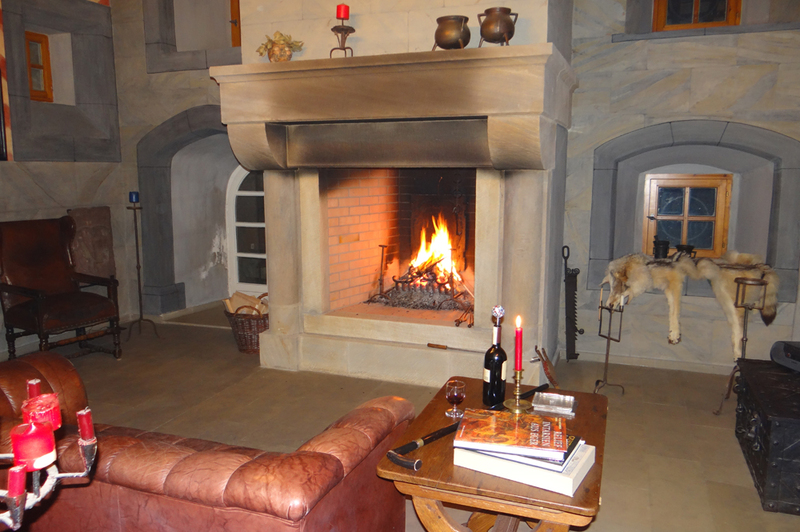 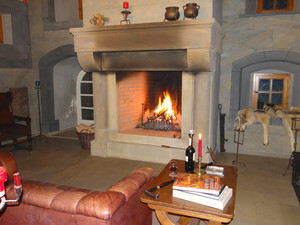 It was during this time, the fireplace and the stucco ceiling were added to the Belle Etage.